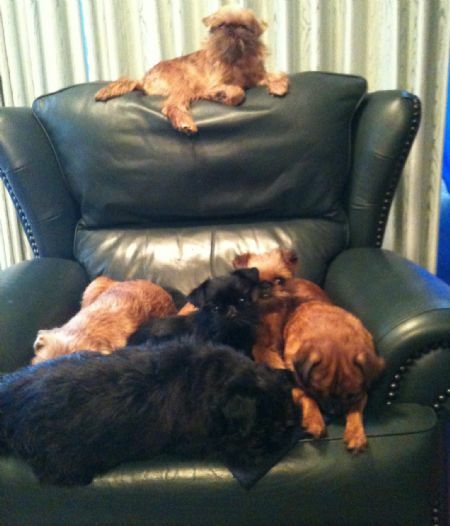 Welcome to Armorgrif Griffons, home of Griffon Bruxellois & Petit Brabancon. Red, Black, Rough & Smooth. Despite having had pets all my life, both cats and dogs, in terms of the dog world I was a relative newcomer, having adopted our first Griffon in 1999, now I think I have more than earnt my stripes. We are extremely grateful to Hilary Swain for sending us Gemma from Perth, also allowing us to name our little black gem. It was certainly worth the wait. Gemma was a very special girl and will forever hold a place in our hearts, sadly Gemma passed away just three months short of her eighteenth birthday. Our dogs are our much loved family members. We would not consider anything that would jepordise their health and wellbeing. We rarely breed, however, when we do it is after extensive and careful research to ensure correct conformation, temperament and quality. We produce a limited number of puppies, which are all house reared. Creating friendly, and well socialised puppies. We are very particular where our puppies are homed, and have a strict criteria, as we bring them into the world we want to make sure that they have best possible happy and healthy lives. Our dogs have been involved in visiting nursing homes, disabled facilities and youth residential units. Briary Gemma Dee was a Delta Society - Pet Partner accredited dog. 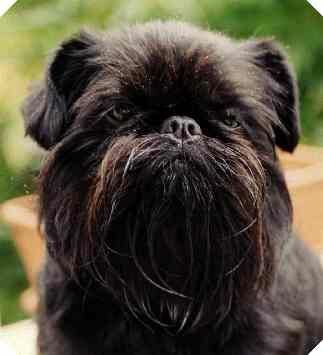 Griffons are such a special breed of dog and it is hard to imagine life without one (or many). It is a joy to share our lives with them and the people we have met and the friends we have made along the way. Shows can be a social event, whilst it is nice to win, it is always a pleasant day out catching up with everyone (not just Griffon owners). Should you wish to obtain more information on the breed, availability of puppies, or help with your grooming, please feel free to contact me via email or my mobile.